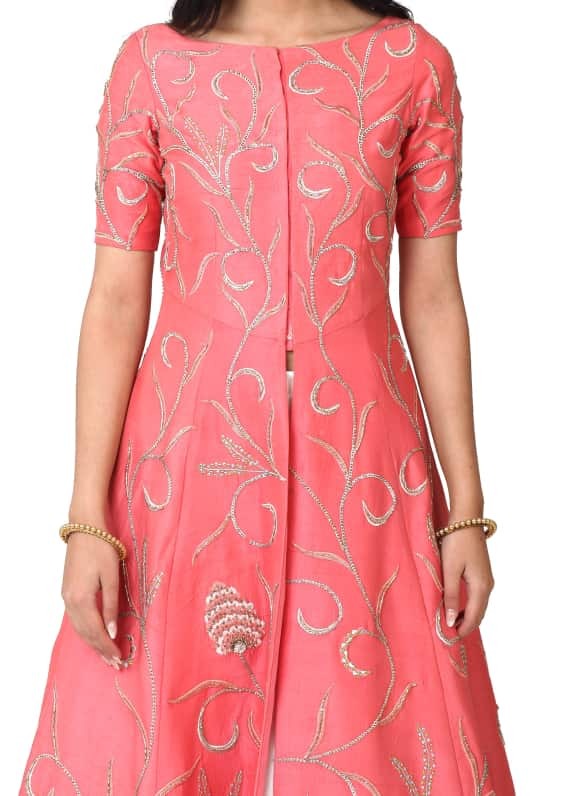 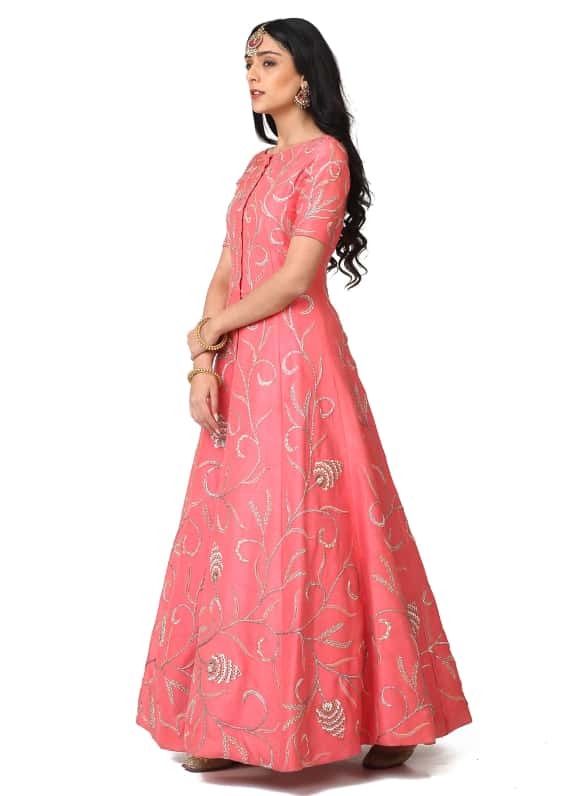 This ensemble features a long pink jacket with high slit with sequins and thread floral embroidery. 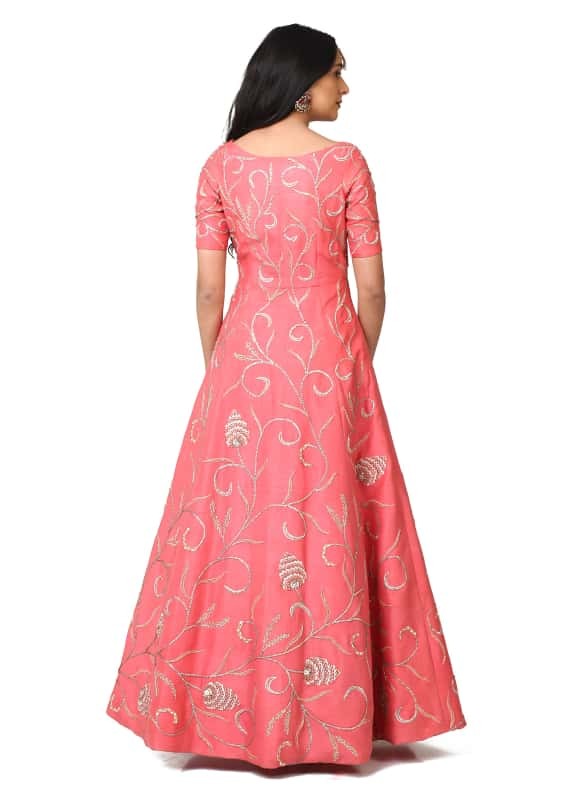 It is paired with a plain white skirt. 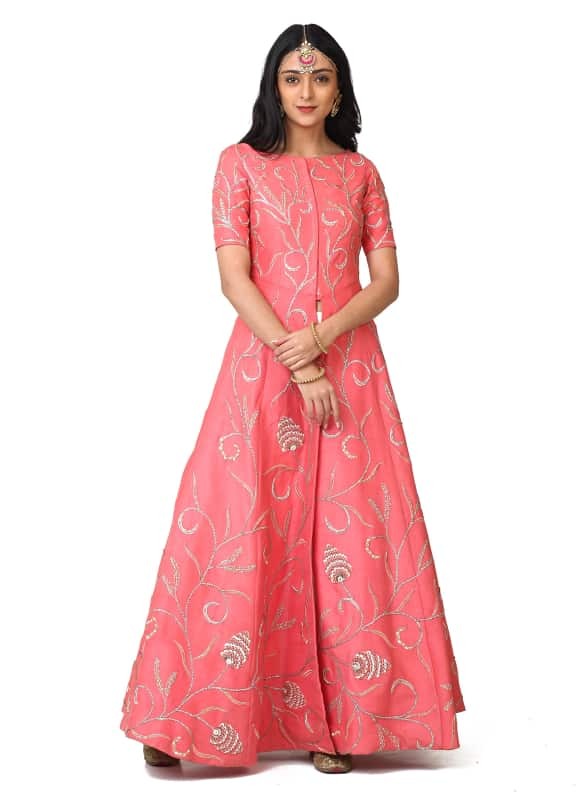 Wear it for your sangeet or cocktail night and style your look with a pair of Amrapali earrings and bangles and maang tikka by Amethyst.